Today is World Osteoporosis Day. We’re taking a look at the campaign and at Cochrane evidence on osteoporosis. Be proactive and #LoveYourBones is the message of this year’s World Osteoporosis Day. The campaign is a call to action for members of the public to act early to protect their bone and muscle health, and for health professionals and those who fund health care to prioritize osteoporosis and fracture prevention by ensuring that people who are at high risk are assessed and offered appropriate treatment. 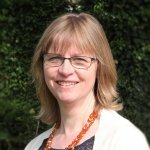 People are also being asked to raise awareness of the campaign by wearing white, not a colour that does anything for me, so instead I’m blogging some Cochrane evidence. Osteoporosis is a condition that weakens bones through a reduction in bone mineral density (BMD), making the risk of broken bones (fractures) more likely. It might not be discovered until someone has a fracture. Hip, wrist and spinal bone fractures are the most common. Losing bone is a normal part of ageing, but in some people this process happens faster than normal. Over three million people in the UK have osteoporosis. According to the National Osteoporosis Society, in the over 50s, one in two women and one in five men will break a bone due to osteoporosis. 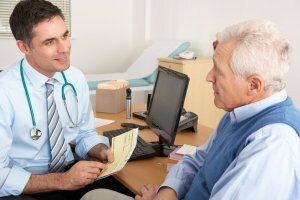 Are there things that could be done to help GPs find and treat conditions like osteoarthritis more effectively? This question was addressed by the team behind a Cochrane review looking at this, and they found 30 relevant studies to help them answer it. From the eleven studies concerned with osteoporosis management, five provide reliable evidence that an alerting system for GPs, flagging up people at increased risk, with or without information for patients and a reminder to see their GP, does ‘improve GP behaviour’ in relation to testing bone mineral density and prescribing medicines for osteoporosis, resulting in better diagnosis and treatment rates. 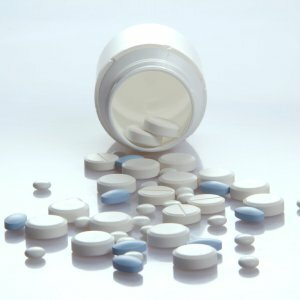 I was intrigued to read on to find out if ‘improved behaviour’ meant more testing and more prescribing, or more appropriate testing and prescribing. We know more isn’t necessarily better. I should have known that this actually means that it improved adherence to guidelines. Corticosteroids are commonly used in managing inflammatory conditions, but bone loss is one of the side effects. Bisphosphonates are drugs that might be used to prevent and treat this bone loss. A Cochrane review that was first published in 1999 has recently been updated to take account of new research in the field. In a change to its earlier conclusions, it now brings the good news from reliable evidence that bisphosphonates reduce the risk of spinal fractures in this patient group. There needs to be better evidence on whether this benefit extends to other fractures. Bisphosphonates are probably also effective in preventing and treating corticosteroid-induced bone loss in the lumbar spine and top of the thigh bone (femoral neck). There was no difference in side effects in people taking the drug or a placebo (fake drug). Of course not everyone is helped by a treatment. It can be useful to have an estimate of how many people need to be treated over a period of time for one person to benefit (this is called the Number Needed to Treat, or NNT). The review authors have worked this out for us. The range is very wide for the outcome of spinal fracture. Approximately 31 people would need to take bisphosphonates to prevent spinal fractures in one person, but this could be as many as 145 or as few as 20. This is very much narrowed when we look at bone mineral density; two to three people would need to take bisphosphonates for a year for one person to benefit in BMD at the lumbar spine and four to seven people for one person to have improved BMD at the femoral neck. What can you do to love your bones? The World Osteoporosis Day campaign gives ‘five steps to healthy bones and a fracture-free future’. Two of these concern bringing any risk factors to your GP’s attention and seeking testing and treatment. As we’ve seen, Cochrane evidence suggests that GP alerting systems are an effective way to improve osteoporosis detection and management, whether or not patients are given information and reminders to consult their doctor. That doctors are better at looking for patients than people are at looking for health problems and treatment shouldn’t surprise us. Another one on the list is to have a diet rich in bone-healthy nutrients, with the spotlight (or sunlight) on Vitamin D, calcium and protein. 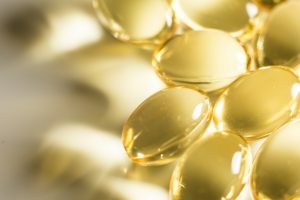 A Cochrane review with 53 randomized studies with over 91,000 people has reliable evidence that vitamin D alone is unlikely to prevent fractures, but that combined with calcium it reduces fracture risk. There is a small increase in gastrointestinal symptoms and kidney problems in people taking vitamin D and calcium. Exercise is another of the five steps. We’re all increasingly aware of the enormous benefits of exercise on our health and the risks of inactivity, but the specific benefits here stem from the impact of exercise on bone mass. It’s a case of ‘use it, or lose it’. 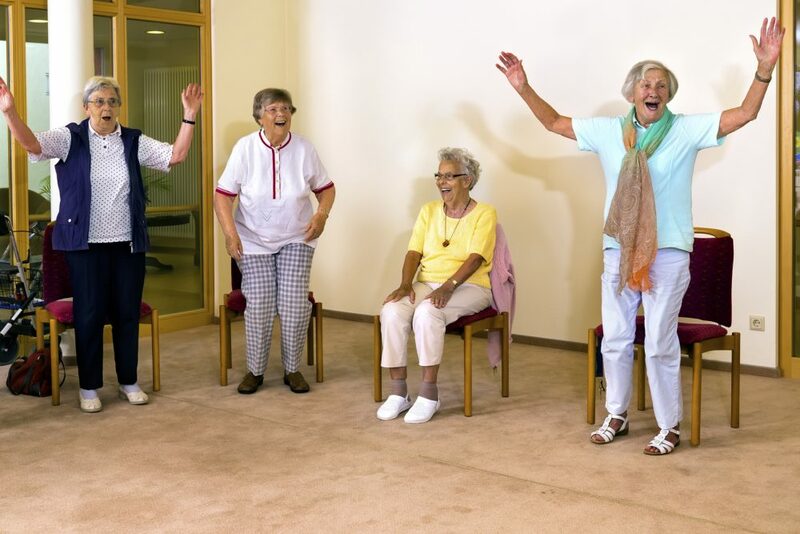 A Cochrane review has looked at the impact of exercise on bone density and fractures in postmenopausal women. Drawing on 43 randomized studies with over 4000 women, it provides reliable evidence that exercise slightly improves BMD and slightly reduces the risk of having a fracture. The review authors estimate that if 100 postmenopausal women exercise, seven will have a fracture, compared to 11 in 100 who don’t exercise. Do we know what sort of exercise is most effective? The evidence suggests that non-weight bearing high force exercise, such as progressive resistance strength training for the lower limbs, has the most effect on BMD at the top of the thigh bone and combined exercise programmes on BMD at the spine. The other step in the campaign’s list to “avoid negative lifestyle habits – maintain a healthy body weight, avoid smoking and excessive drinking”, which we’d probably expect to see on just about every list that aims to promote health and reduce the risk of disease. 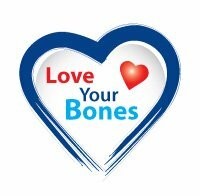 So today, if you want to #LoveYourBones, you can find out more from the World Osteoporosis Day website, the National Osteoporosis Society and of course from Cochrane, with many more Cochrane reviews on osteoporosis here. #UnderstandingEvidence: If you want to understand more about the Number Needed to Treat, you could read this blog from Students 4 Best Evidence and see this article and video The NNT, Explained. Sarah Chapman has nothing to declare. References can be found here. Osteoporosis is no laughing matter. It’s scary to think that one in two women will break at least one bone from it! My mom has osteoporosis, so I appreciate your information here. Hopefully it will help her. Thanks for helping me understand what osteoporosis and the different ways of treating it. I found it interesting when you said that eating healthy and exercising are some ways for treating osteoporosis and keeping the affected bones healthy and strong despite the disease. Although with how brittle the bones get, it wouldn’t surprise me if they were to still break, so I think that it’s important to have a treatment in place in case that were to ever happen.